I have no memory of that show at all. I do remember this one! you are right about it being ahead of it's time... Hope you are doing well Ally. I don't remember this show, probably because there is no way my parents would have let me watch it. I'd love to watch an episode or two to see how norms have changed though. Looks good, I've never heard of it, but I enjoyed the link you showed. 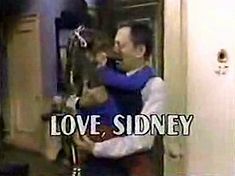 I do remember the show, I do remember it being controversial - even though Billy Crystal's character Jody on Soap a few years earlier paved the way for an openly gay character on network TV. I also remember being in high school when it aired and watching it with my grandmother. She was always an Odd Couple fan. Ironically, the show did not phase her. After all, this was a woman who always watched the ground-breaking Norman Lear shows of the 70's (All In the Family, Maude, the Jeffersons, One Day At a Time, etc.). Good memories of watching TV with her. How horrifically 80's, from the overly long, back story filled intro song, to the canned audience laughter. I was only about 3 when this aired, so I don't really remember it. But I do love Tony Randall! Wow, that's a blast from the past. Ahead of its time indeed. I do recall watching this show!